Home » Using Passle » Posting to Passle » Why is my featured image/media important? 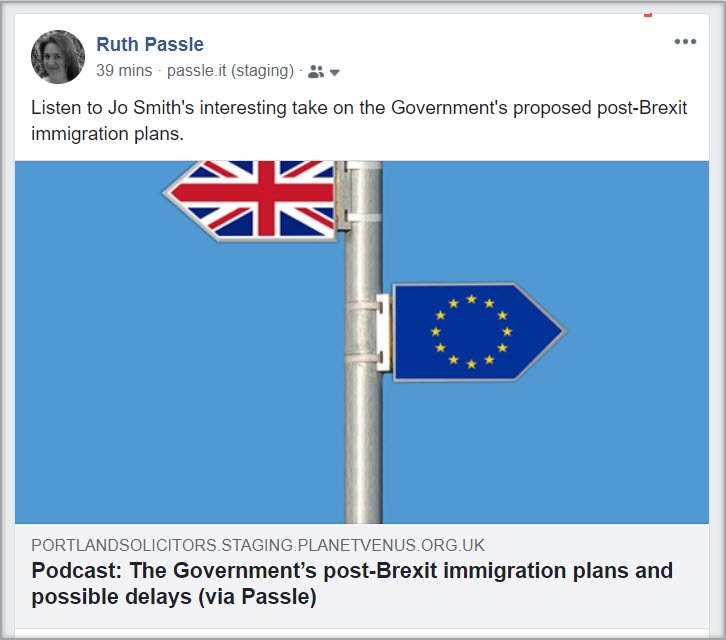 The featured image (or media thumbnail) you select will represent your post when it appears on Passle and when shared on social media. 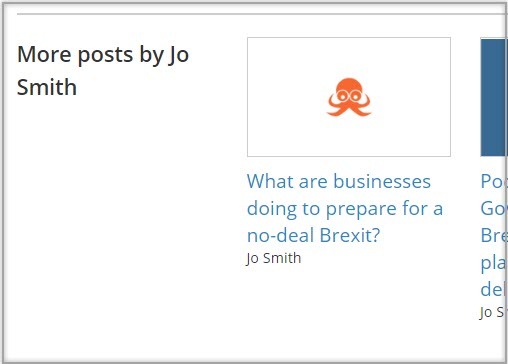 Your published post (and featured image) will appear on your Passle page, and wherever your post appears across Passle. For example, on your Company dashboard/home page, and in the Discover & Follow section. It may also appear at the foot of a post page, as a ‘recent post’ from your company or as ‘more posts’ by an author. When you share your post via any social media options (LinkedIn, Facebook, Twitter or Xing) your featured image will be used to showcase your post. Your chosen featured image will also be used when your post is shared via email. 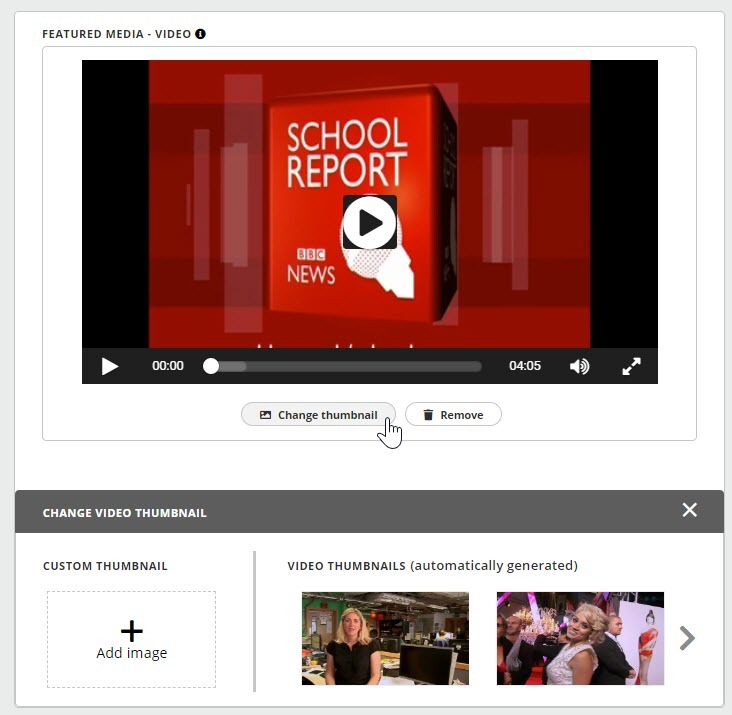 What are the featured image options for audio, video or embedded media posts? 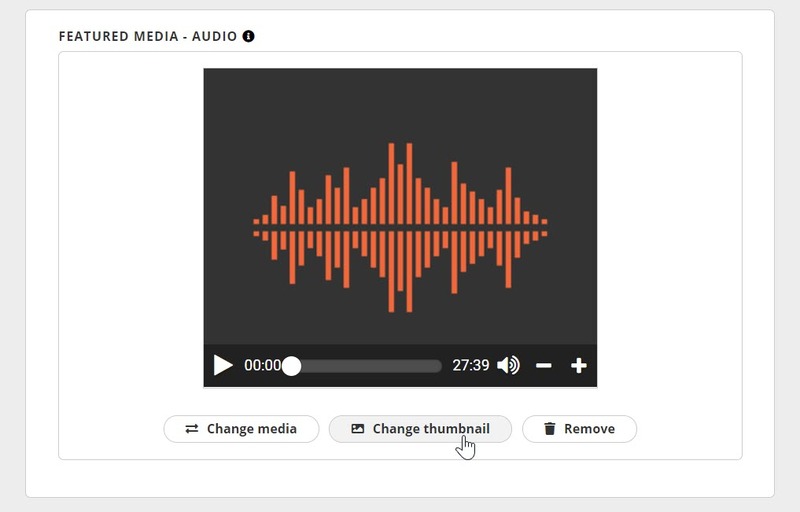 If you upload your own audio file, you have the option to add your own audio ‘featured image’ to showcase your media file. Select Change thumbnail from below your media file to upload a featured image for your audio file post. If you upload your own video file, you have the option to add your own video ‘featured image’ to showcase your media file. Select Change thumbnail from below your media file to upload a featured image for your video post. You can upload your own image via the Custom thumbnail Add image option. We recommend adding a thumbnail image with a minimum of 640x360px, or similar ratio. You can select a thumbnail image from the video. 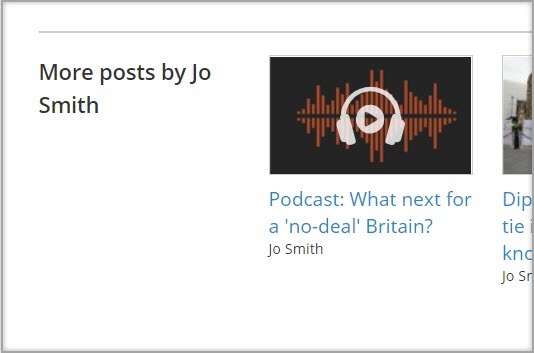 These are automatically generated when the video file is uploaded to your Passle, and the default image is the first one created. You can import a file from YouTube, Vimeo, Slideshare or DailyMotion by embedding the URL into your post. This option takes the featured image automatically supplied by the channel, and unfortunately, this image cannot be changed. What happens if I don’t select a featured image? 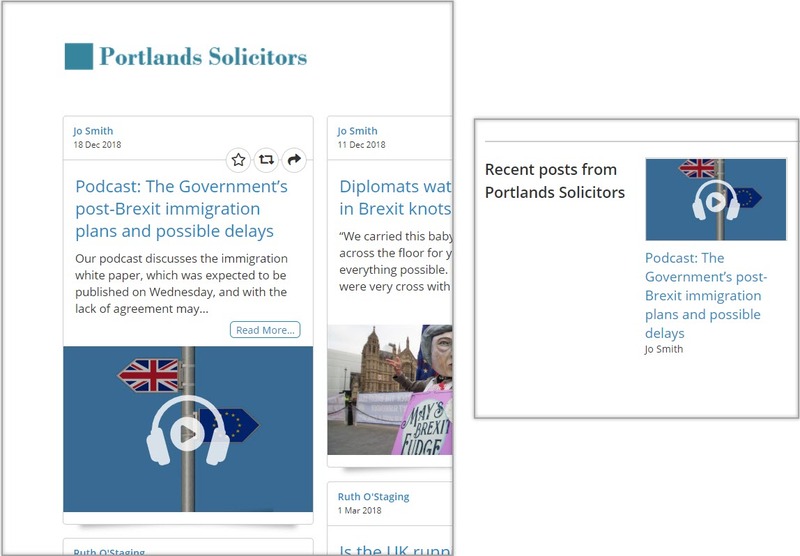 If you don’t selects a featured image for your post, a default image will be used to for your post when viewed on Passle or shared on social media. 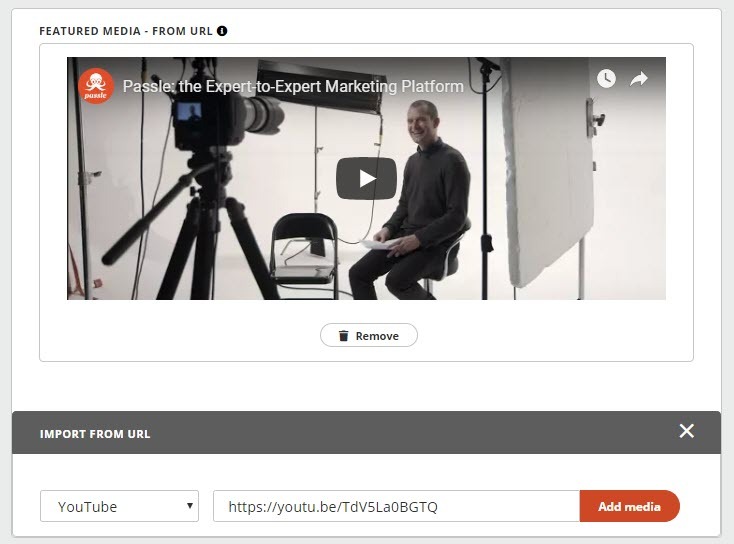 Passle can set a company ‘default share image’ on your behalf. Please contact support@passle.net if you wish to upload a default company share image. If no company default share image is uploaded for your Passle(s), a Passle default share image will be used instead.